“Find out when you’ll get there. With Where2Boss? simply enter your destination and immediately get your Estimated Time of Arrival and a map of the suggested route. ETAs get updated every minute, taking into account traffic ahead from your current position. Share your ETA anytime with colleagues and friends by SMS or email. During your ride, watch the track of your current actual driven route and compare it to that suggested by the Mapping Software. See intuitively if you are going the right way. By providing you information about your ride, you can stay on top of your transit times. You earn points and badges for passing by certain landmarks or beating your original arrival time. Login to GameCenter and you can compare scores with your friends. 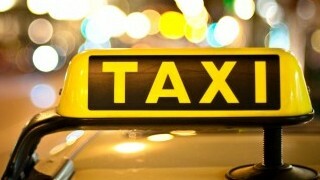 Regain control of the taxi riding experience. Rate your driver and receive their ratings card, contributing to a grass roots effort to have transparency about taxi driver’s professional performance. Every time you take a ride, pass a venerable landmark, rate a driver you earn points and unlock badges. Play with your friends and consult the leaderboards. Finally, review and share the best and worst rated drivers in your area!